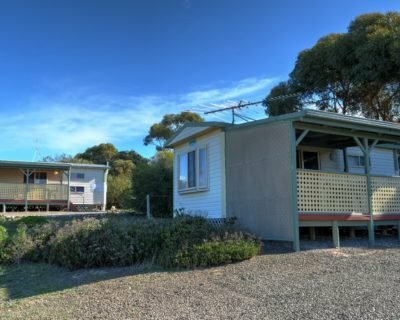 Stay 4 nights or more Mid Season and get a 10% discount. Stay 3 nights or more Low Season (June - August) and get a 20% discount. 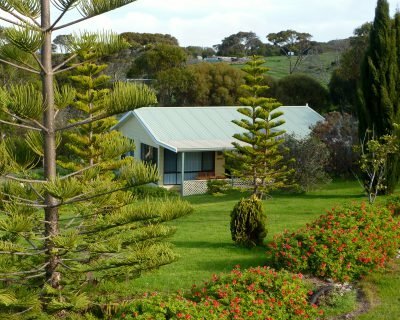 Amani House is part of the Emu Bay Holiday Homes complex and with it's elevated position at the top of the property provides expansive views over Emu Bay and surrounding farm lands. 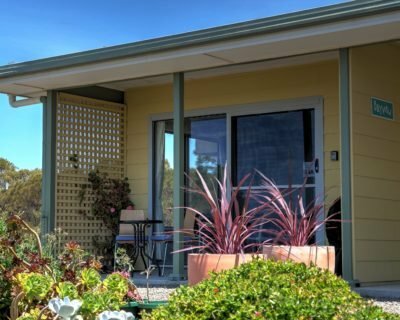 Large sliding doors opens up from the living area for views over Emu Bay, the garden and the bird bath which attracts a wide variety of bird life. Main bedroom: queen size bed with shared en-suite with bedroom 2. Second bedroom: queen size bed with shared en-suite with main bedroom. Bedroom and en-suite is suitable for access by wheelchair and persons with decreased mobility. Third bedroom: double bed and set of bunk beds. Bathroom: Separate shower, bath and toilet with separate basin. TV Lounge: Sleeper couch makes up to queen bed. Has sliding doors to separate from lounge. Large kitchen with big oven and dishwasher. Large lounge area and 10 seat dining table. Absolutely amazing time and most gorgeous place to spend our honeymoon. What a view! Incredible home - very grateful! Our extended family had a wonderful stay @ Amani. The view, the location, the house- all perfect! 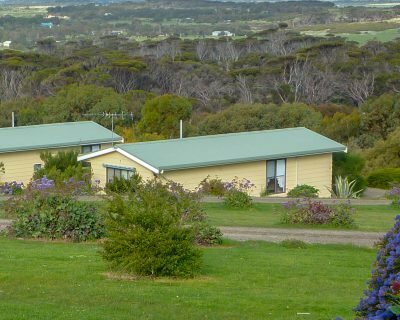 We enjoyed the breathtaking view, the skipping kangaroos and the koalas in front of the house. The sunrise completed our stay perfectly. Thanks for having us. It was a great stay in KI. This is the best accommodation I have ever stayed. Clean room, nice view and we will surely be back here!! What a wonderful surprise! Excellent accommodation, extremely well equipped, breathtaking view! We would love to come back some day!